Apricot Oil is a very popular ingredient in natural beauty products. It is readily absorbed by the skin and is virtually odourless and colourless making it an excellent base oil. But it also has a few good therapeutic properties the skin can take advantage of too. Derived from pressing Apricot kernels the oil is made up mostly of oleic acid and linoleic acid. In scientific studies, oleic acid is said to improve memory whilst linoleic acid has shown good results in research into cancer prevention, diabetes and cystic fibrosis. 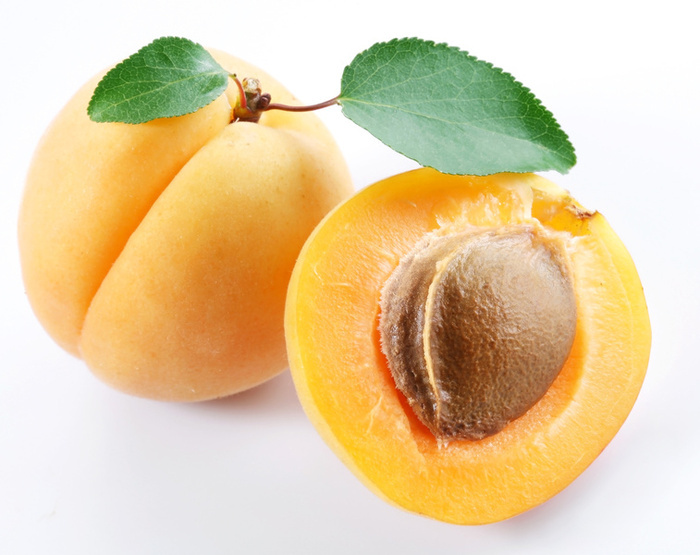 When it comes to skin issues it is the linoleic acid aspect of apricot oil we should focus on. Linoleic acid has anti-inflammatory, acne reduction and moisture retention properties. As we know our skin often indicats illness or deficiencies within our bodies. Dermatitis and eczema can be a sign of an essential fatty acid deficiency. In addition to making adjustments in diet, applying apricot oil with its high linoleic acid content could help relieve these skin issues. Well known for its moisturising properties, apricot oil is good for all skin types, particularly sensitive skin. Because of its nourishing qualities and the fact that it is quite a light oil means it is often used as a base in massage oils. Apricot and Rosehip Warm-up Massage Oil by Raw Organic is a great oil to use to soothe and de-stress the skin in preparation for exercise. Also, the Apricot and Sea Buckthorn Shampoo by Dr.Hauschka is a good hair product that utilizes the properties of apricot oil to help improve the condition of the scalp.